We joined our neighbors and community law enforcement agencies for South Kitsap’s National Night Out. The Port Orchard Police Department and South Kitsap Substance Abuse Prevention Coalition participated with other law-enforcement agencies to host the event that promotes police-community partnerships and neighborhood camaraderie to make for safer communities. 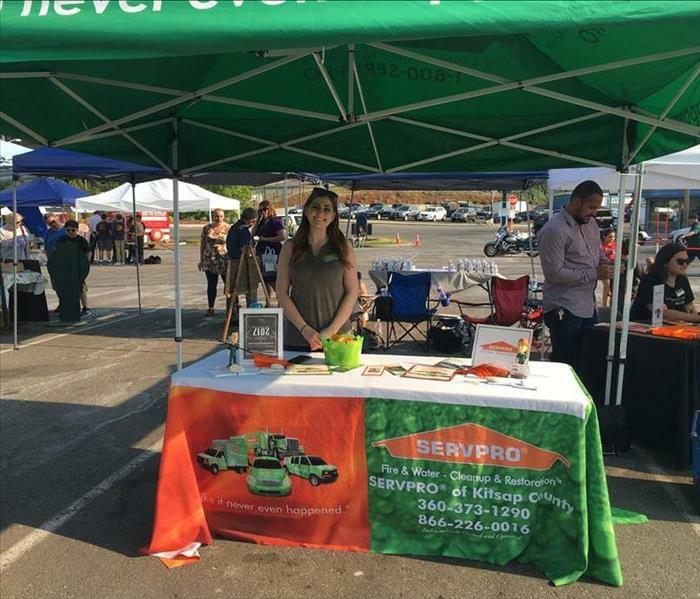 We loved coming down to the event and showing our community support and getting more opportunities to meet and talk with our customers and potential clients. 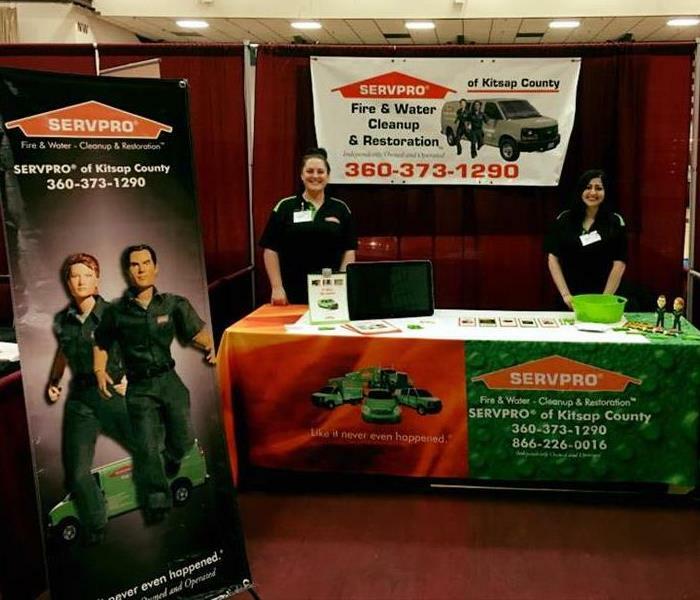 As well as informing more people about SERVPRO of Kitsap County and what we're all about. The Silverdale Chamber of Commerce General Membership Luncheon is a prestigious networking meeting. This luncheon is the must-do event each month. It features various business presentations, local events and excellent food. This month is our Education Committee Carnival CTE Scholarship Fundraiser! There's games, entertainment, lunch and much more! 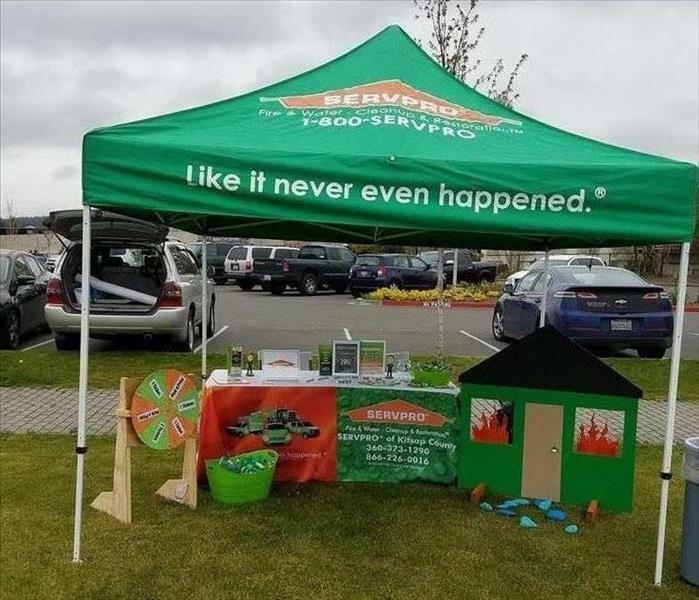 SERVPRO of Kitsap County participated with not only a booth but a ball tossing game as well for a great additional raffle to add to the great carnival experience. The Armed Forces Day parade held in Bremerton is the largest and longest running Armed Forces Day Parade in the nation. This year is the 69th year of the event held on the third Saturday in May in Downtown Bremerton. The parades annual attendance is 25,000 - 30,000 people from all over Western Washington. The parade includes all branches of the military, police and firefighters, pageant queens, commercial businesses, car clubs and more. 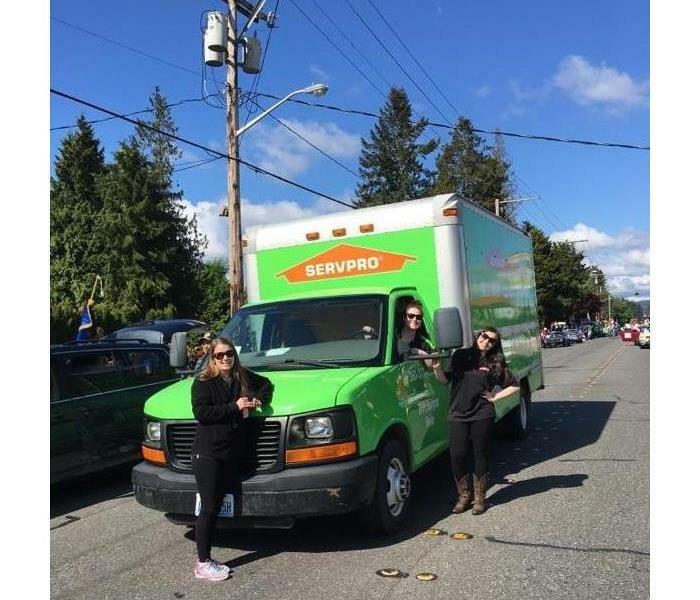 We were pleased to have our Administrative Assistant, Our Marketing Manager & a technician from our fire team here with us to walk the parade and showing some great SERVPRO spirit. 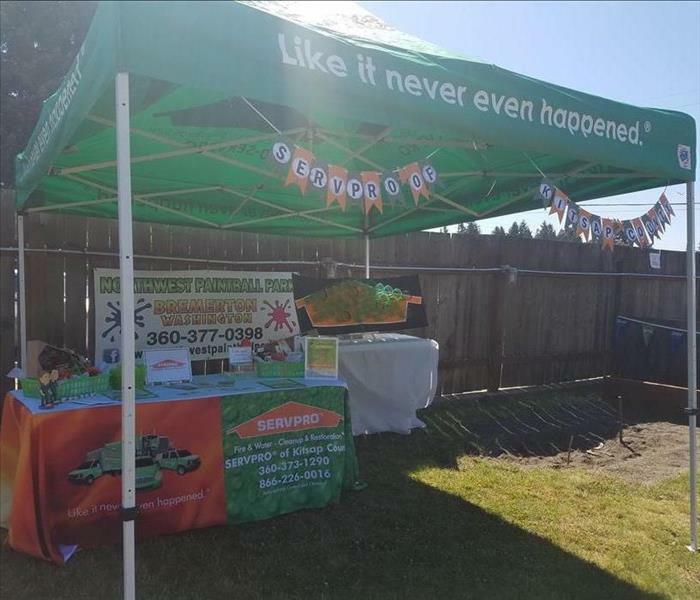 SERVPRO of Kitsap County was happy to participate this last weekend for the 2017 Healthy Kids Day that was hosted by the Silverdale Haselwood YMCA. We set up both a spinning wheel activity and the game of tossing faux water droplets at a house that we created to look like it's on fire. We were glad to be there, meet so many new faces and enjoy seeing familiar ones. And we were overjoyed how excited so many kids were to participate in our games, giving us a chance to talk about SERVPRO to the parents at the same time. 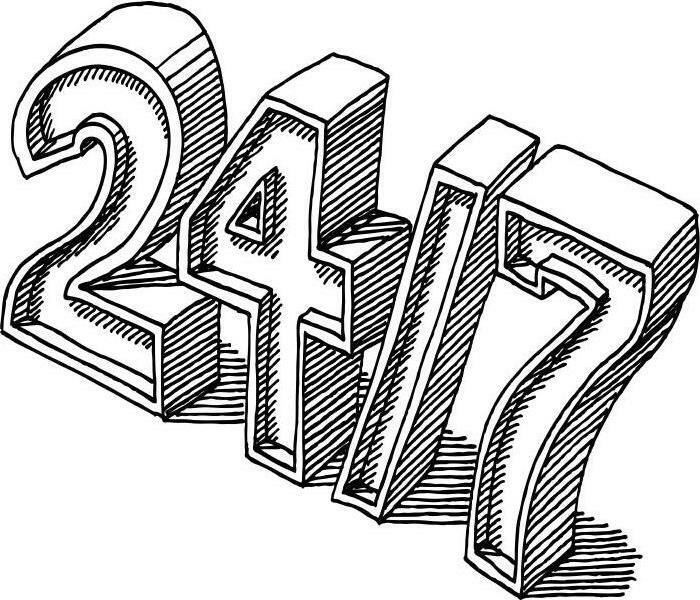 The community presence and personality is upbeat and welcoming and we are proud to be a helpful vendor that people know they can count on us when they need us. Marketers, Mirissa and Cassie enjoyed the day of meeting local businesses and members of our community. 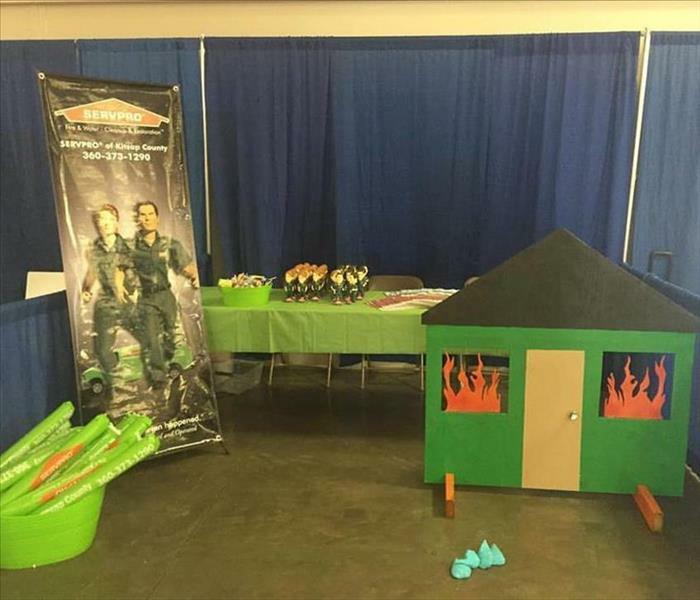 SERVPRO participated in Central Kitsap Fire and Rescure's "Kids Day" at the Kitsap County Fairgounds. It was a great day used to educate kids about the importance of fire safety. 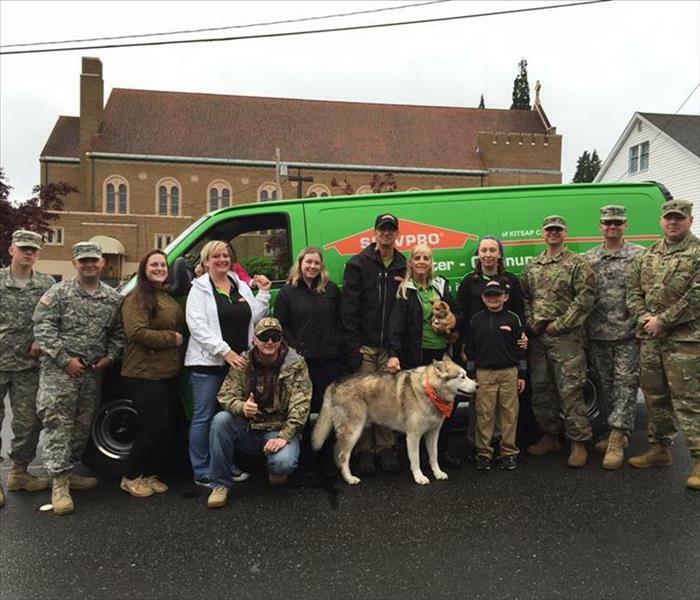 Despite the rain at the 2016 Armed Forces Day Parade, SERVPRO had a grea time walking and celebrating! 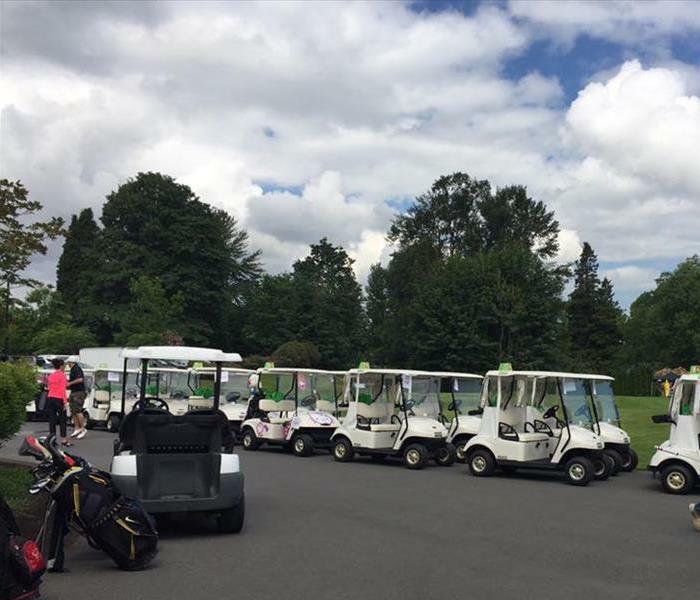 This years SERVPRO Scramble golf tournament was a great success! It was a beautiful day of golf, fun and food--not to mention all the proceeds went to the American Red Cross! Win-win!